Our design team can work out your desired models and reproduce the items in your cuts and requirements for offering you the most accurate production costs. 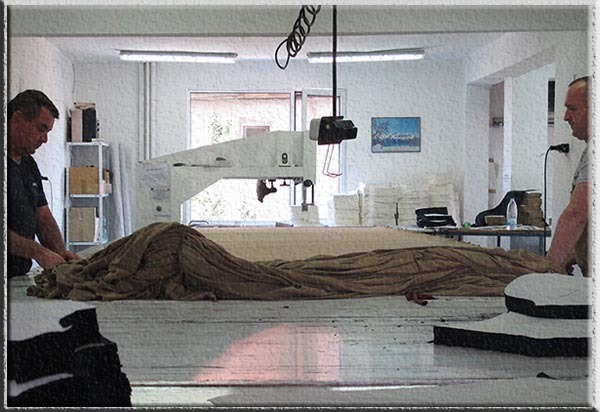 Our cutting department offers full cutting equipment and tables, as well as computerized CAD Assyst system for preparing patterns for optimal cutting process. 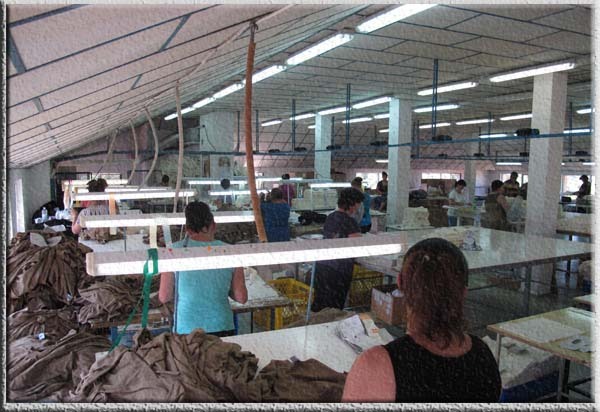 There are three separate and independent production lines, each with capacity of 400-1500 garments per day. 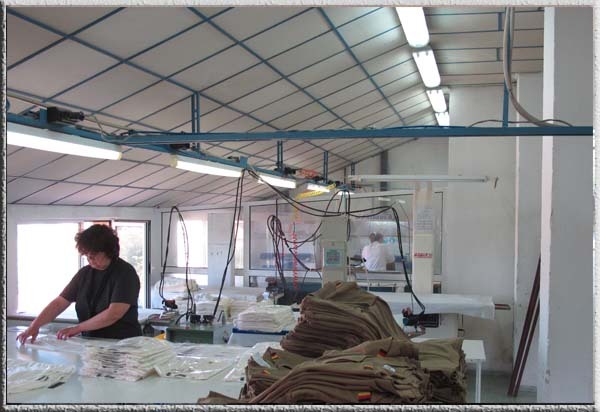 A mid-term quality control process is being held through the production process in the sewing department. MODAK offers embroidery machine ZSK with 12 heads (9 needles/colors each), as well as the latest generation DTG printer Polyprint TexJet Echo for the specific requirements of low-volume orders. Screen printing and sublimation could be held along with our partners. Quality control is carried out in a timely manner at each stage of production in order to fully reduce the possibility of rejects. 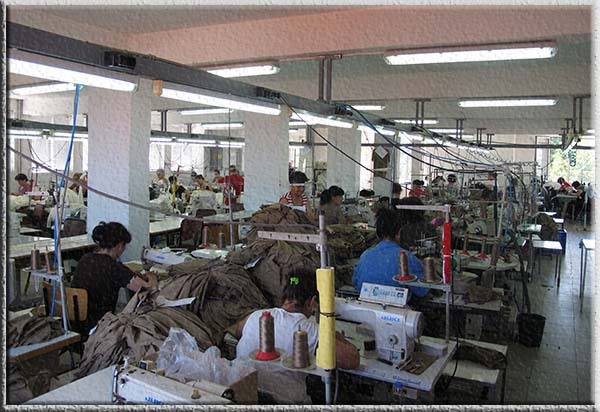 Hand activities that complete the manufacturing process and ensure the good commercial and transport appearance of the garments. 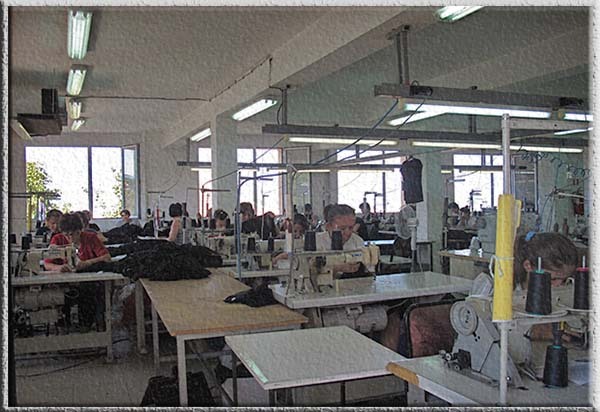 Clothing manufacturing on CMT basis. Client provides all fabrics and materials needed. Possibility for producing ready-made garments with materials assured by us and our partners, or a combination of CMT or ready-made products with materials assured from us and the client. Minimum Order Quantities: 3,000 – 5,000 pcs per style. 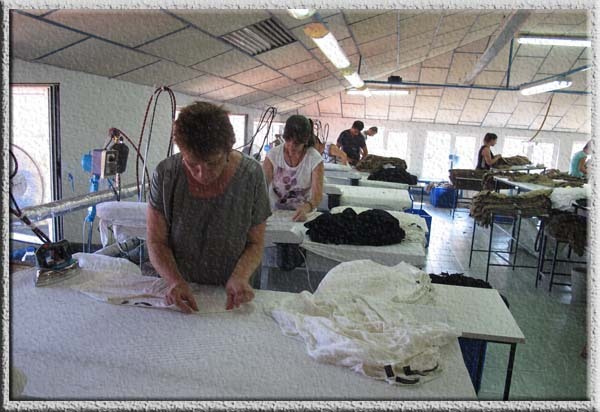 Production of knitwear for men, women and children – T-shirts, polo shirts (lacoste), blouses with long sleeves and more. We offer personalization of your clothing or that made by us as your requirements through automated embroidery machine and the latest generation of DTG printer for printing on textiles and leather. Embroidery machine ZSK with 12 heads (9 needles/colors each) allows customization with your motifs on garments. This service is suitable for branding corporate clothing and individual projects as desired. MODAK features the latest generation of high-tech DTG printer TexJet Echo for printing on textiles and leather which provides unlimited possibilities for the realization of your most bold ideas for the branding of your clothing.